Technically is still Wednesday for another 20 minutes or so. I'm running a little late, as usual. E has been asleep about 10 minutes and I am finally getting to sit down and try to get a bunch of stuff worked out here on this crazy blog I decided to start. 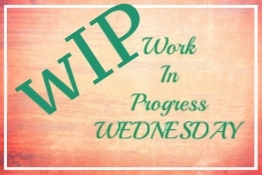 I've actually been planning out my WIP post all week long. Trying to remember to grab a photo or two during my progress. Remembering to get them uploaded and edited(somewhat) and think about what to write. I have said before, I usually have at least 10 things going on at any given time(or it seems that way). One of my many hobbies is crocheting. I try to work on something as much as possible. I'm not a beginner as to say I am new to the art but I lag at really committing myself to advancing. I guess I get comfy with what I do know and kind of run with that for awhile. I still cannot read a pattern to save my life. Everything I have completed has solely been by pictures and just winging it! 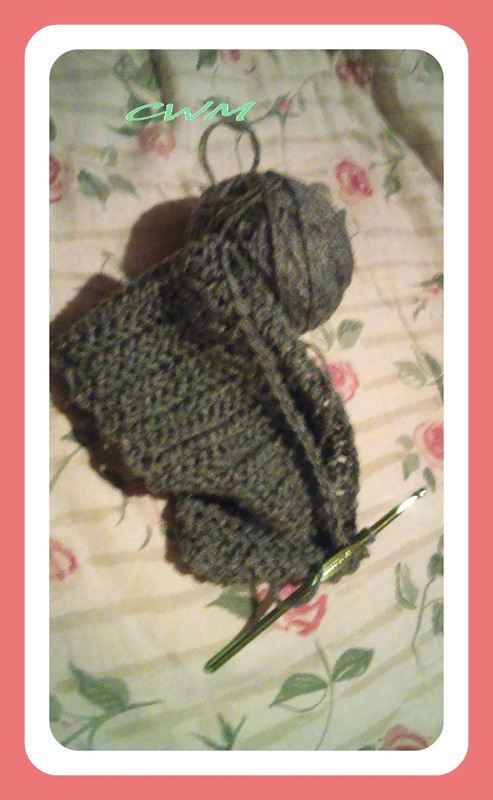 I am a master-ish at making beanie/toboggan/hats. I actually started a Facebook page last fall and made a bit of money selling the "messy bun" hats and such. Honestly, I have probably made 100 of these in different colors, sizes, styles. They are a quick project (unless Ele wants to "help") and I love that each one is different and unique. 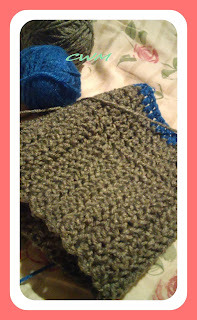 This week I am making one for a dear friend of mine's son to send all the way to the UK! I am in love with this little boy and his handsome smile. One day I will get to meet them in person..I pray! So my dear Lucas, your hat is my WIP for today! I can't wait to see how cute he is wearing it!